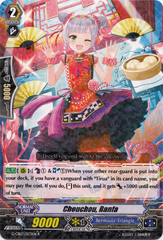 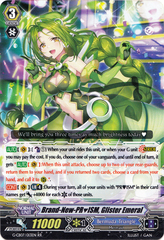 Card Effect: [CONT](VC/RC):If the number of your other rear-guards with "Chouchou" in its card name is one or less, this unit cannot attack. 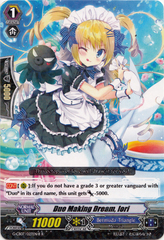 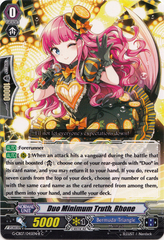 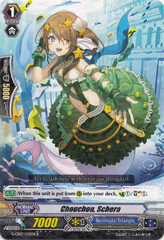 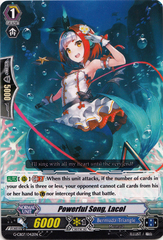 [AUTO](RC)[1/Turn]:[Counter Blast (1)] When your other rear-guard is put into your deck, you may pay the cost. 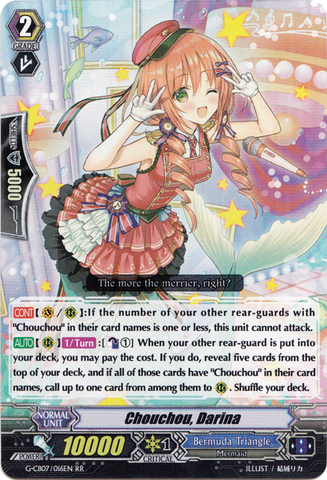 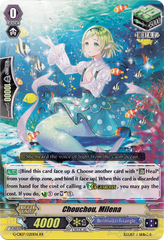 If you do, reveal five cards from the top of your deck, if all of those cards have "Chouchou" in their card names, call up to one card from among them, and shuffle your deck.